Every technician working for Rovertune Ltd must have participated in, and successfully completed, a Land Rover Apprenticeship scheme. They would then have progressed through the ranks to obtain varying levels of seniority at a Main Dealership, before leaving to work at our headquarters in Reading, Berkshire. Rovertune Ltd currently has three technicians that would be of Master Technician grade if working within a franchised dealership, two senior technicians and a junior technician that has just completed an industry approved apprenticeship scheme. All have continuously worked on Land Rover vehicles since leaving school. In July 2017 our junior technician successfully completed his apprenticeship and training by passing all of his examinations with Distinction and was further awarded college Student of the Year. This shows a total dedication that he put in towards his studies and also identifies the excellent training that is given to apprentices by all of the technicians and staff employed by the company. To follow in his footsteps and as part of our continuing investment for the future a new 16 year old has started an approved apprenticeship scheme at Rovertune with the intention of not only emulating what his predecessor achieved, but bettering. Rovertune Limited is committed to providing its technicians with ongoing training so that they are always up to date with developments and, above all, familiar with new models and their ever changing technological and servicing/repair requirements. Looking to the future, Land Rover has declared that by 2019 up to 50% of the vehicles it manufactures will be either electric, or hybrid. Rovertune Ltd has on its staff an ex Land Rover employee who is one of the highest qualified technicians certified to work on such vehicles. He was involved in writing much of the technical information and the training of dealership staff to work on this new breed of vehicles, which will dominate future sales going forward. As a result, Rovertune Ltd is probably better placed than other Independent specialists and can rival Main Dealers, not only in expertise, but in cost, when it comes to servicing and repairs to future electric and hybrid Land Rover vehicles. 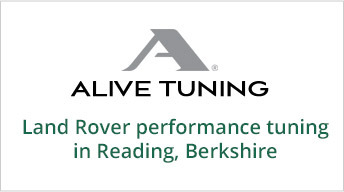 Rovertune Limited is also committed to continued investment in the latest Land Rover diagnostic technology. It is continuosly connected online to the new Land Rover TOPIx (Technical and Owner Publications Information exchange) system, which provides technicians with instantaneous access to everything needed to service and repair Land Rover vehicles. This is the same system franchised dealers use to access all relevant manufacturing/build data, workshop manuals, technical information, latest bulletins, recalls and software upgrades that are specifically applicable to your very own vehicle. Rovertune Ltd is continuosly connected on-line to Jaguar Land Rovers official Electronic Parts Catalogue (EPC) and through this is able to identify and obtain the exact part (or parts) required for your vehicle, whether it be a basic service item, or any other part needing repair or replacement. The system identifies all Jaguar and Land Rover part numbers together with cost, plus any other relevant information. For example, whether the original part fitted to your vehicle during manufacture has been superceeded by another item which has formed part of their continual development programme. This allows us to purchase the correct parts required ‘first time’ and ensure that any unstocked item is delivered direct from Land Rover the same or following day (unless the part is on back-order), ensuring that your vehicle does not remain off road any longer than necessary.